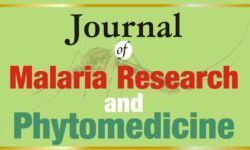 Journal of Malaria and Phytomedicine, an international, peer-reviewed, open access online journal publishing original research, reviews, editorials and commentaries on all aspects of malaria and phytomedicinal studies, hereby call for manuscripts and papers. Proceedings of the 1st National Malaria Colloquium. Vol. 1 (Suppl 1).01: Trends in paediatric malaria mortality over a 10-year period (2006-2015) at the University of Port Harcourt Teaching Hospital, Nigeria. Yenagoa L G A, Bayelsa State.